I worked in the Atlanta region service dept. I called on dealers in Ga.,South Carolina, and Alabama. When I left the Co. in 84 I started my on business, Thornton Eq. Repair in Monticello. I closed business at the end of 98 and went to work for Takeuchi Mfg.US in January 99. I work in the service dept. with Willey Hutto, who was service manger in Atlanta. Our office is a Buford, Ga. 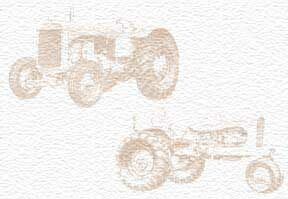 I also collect old AC Tractors, 2-B's, 1-C, 1-WC,1-WD45 Deisel,2-D17's, and 1-D21. I pull the WD45 in Antique tractor pulls.